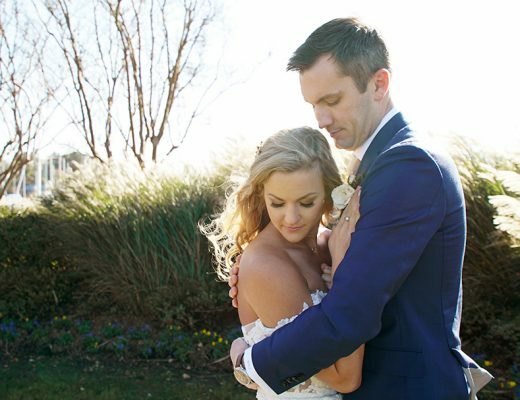 Only seven more days until our favorite holiday (Valentines Day, y’all! 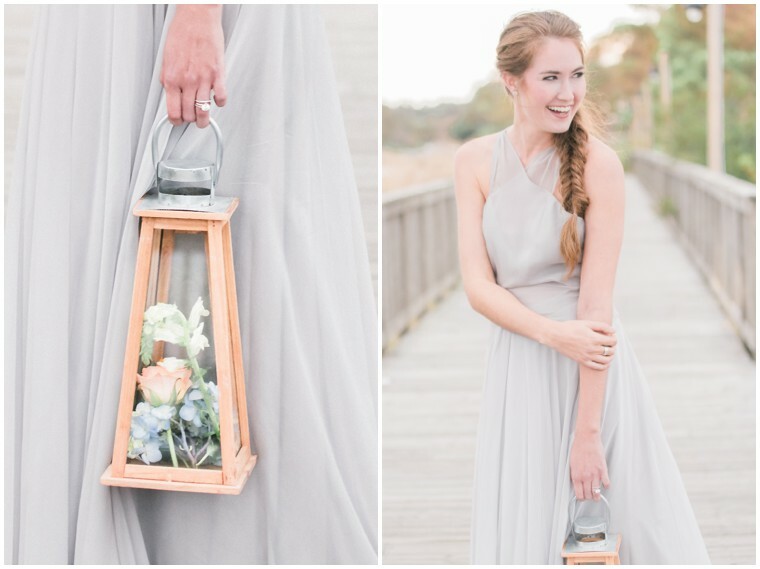 ), and we’re getting in the mood with this dreamy styled shoot from Manda Weaver Photography! 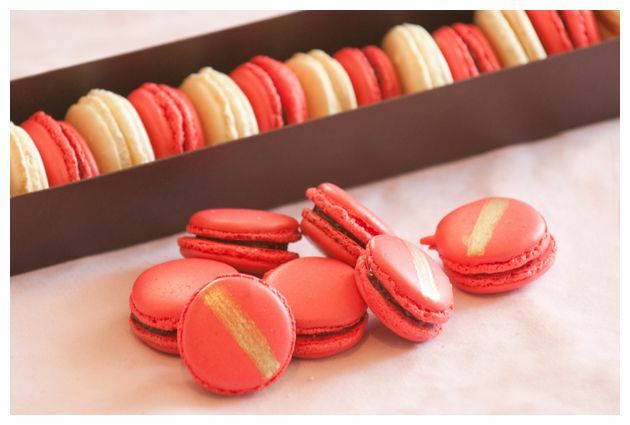 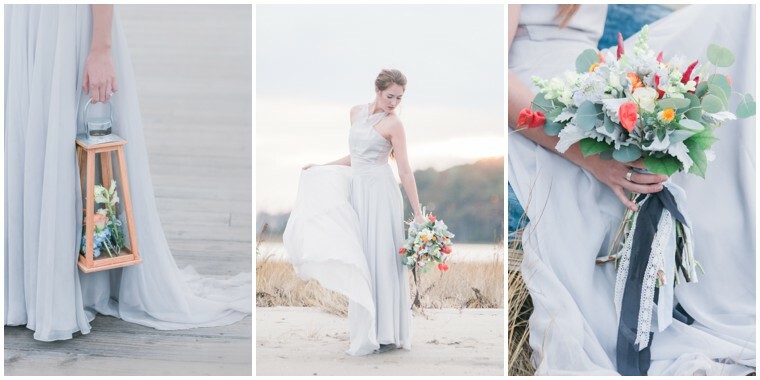 We are crushing her unexpected mix of breezy blues and red-hot punches of color. 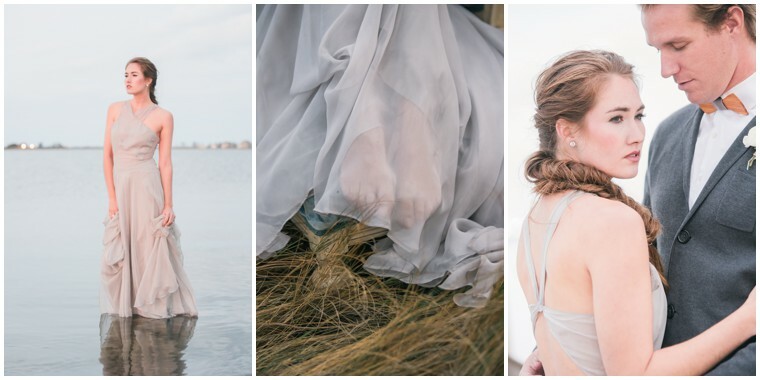 Trust us, this new coastal palette is the seaside combo you never knew you needed. 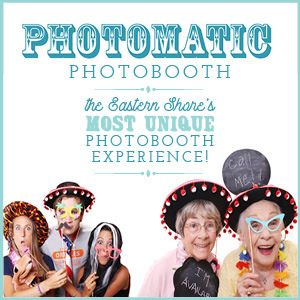 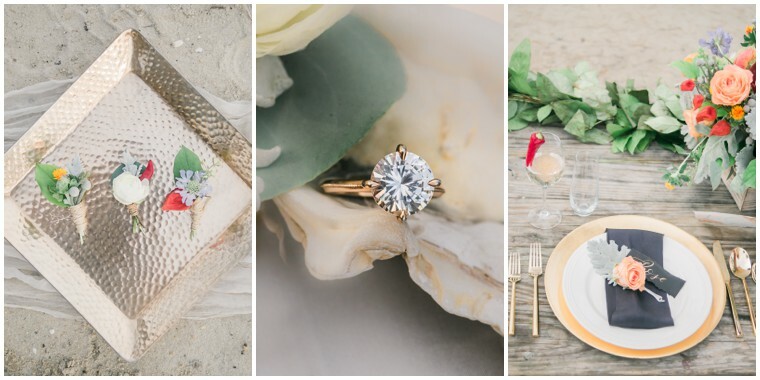 So get your Pinterest boards ready and check out this beach-beauty of a gallery! 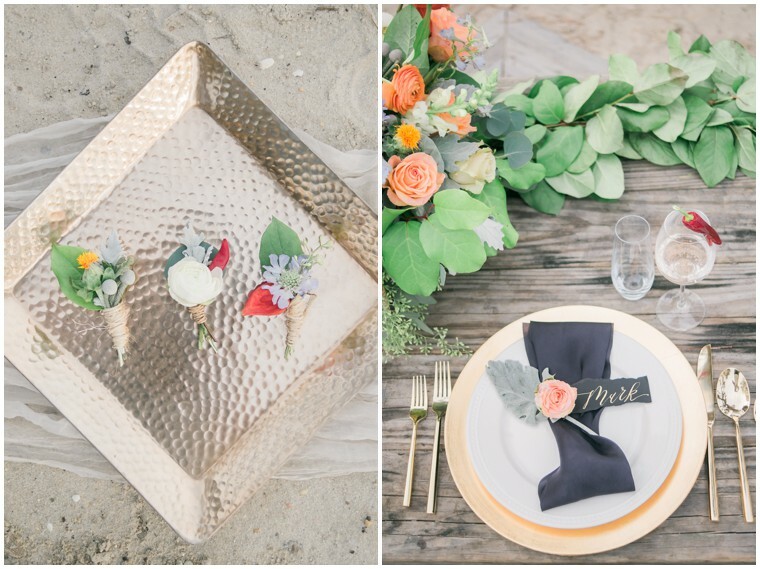 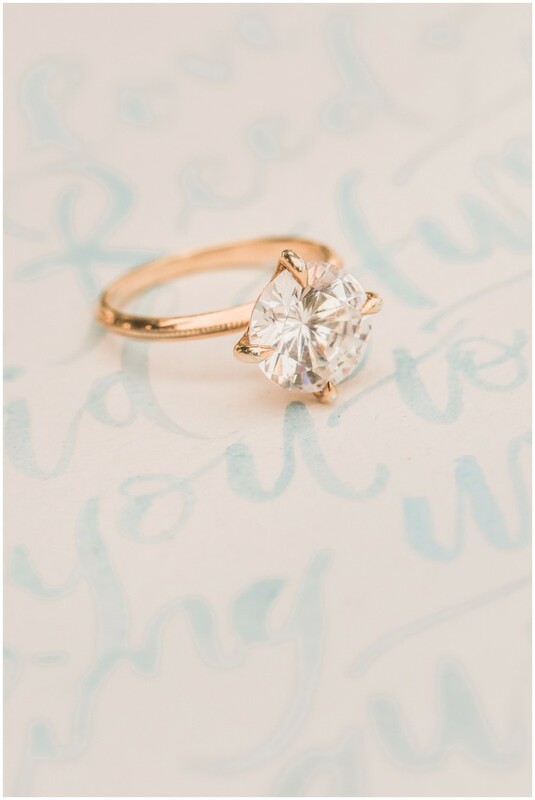 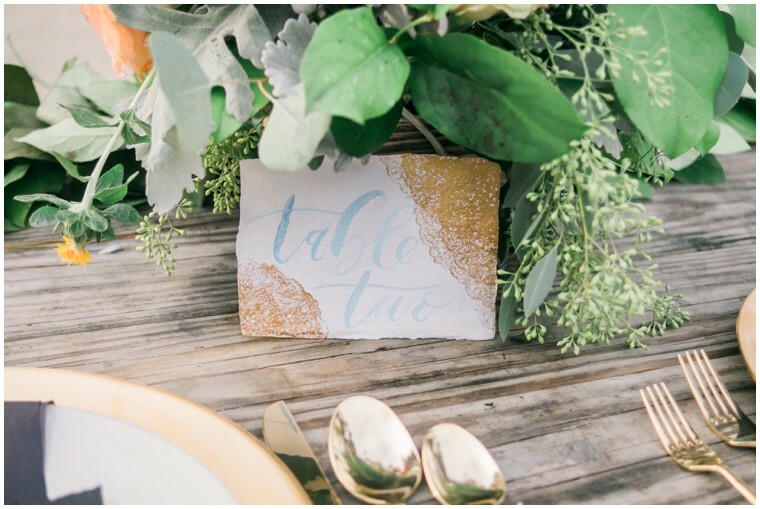 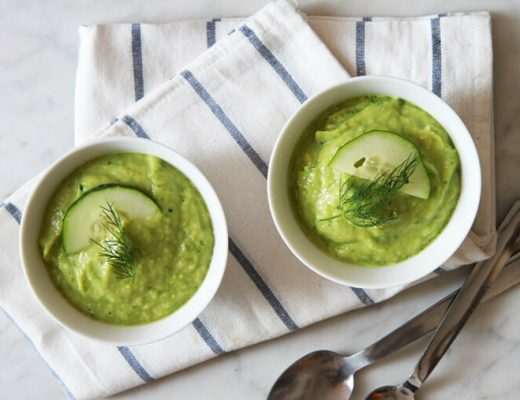 From Manda Weaver Photography: This coastal wedding inspiration was birthed out of a chat I had with the sweet Katina of A Sweet Affair Events. 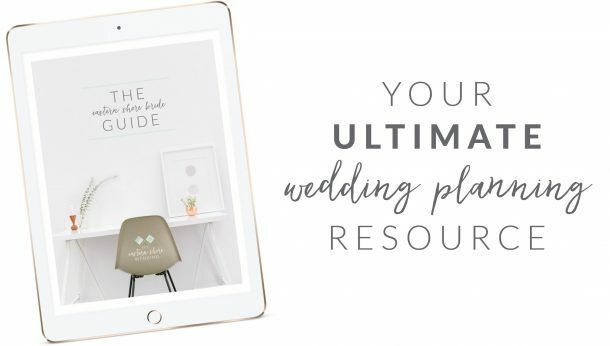 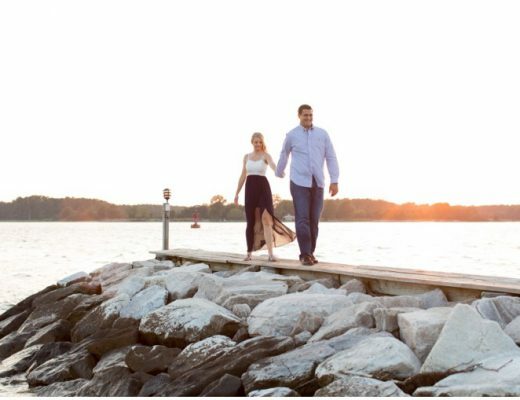 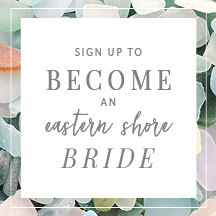 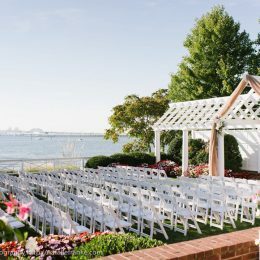 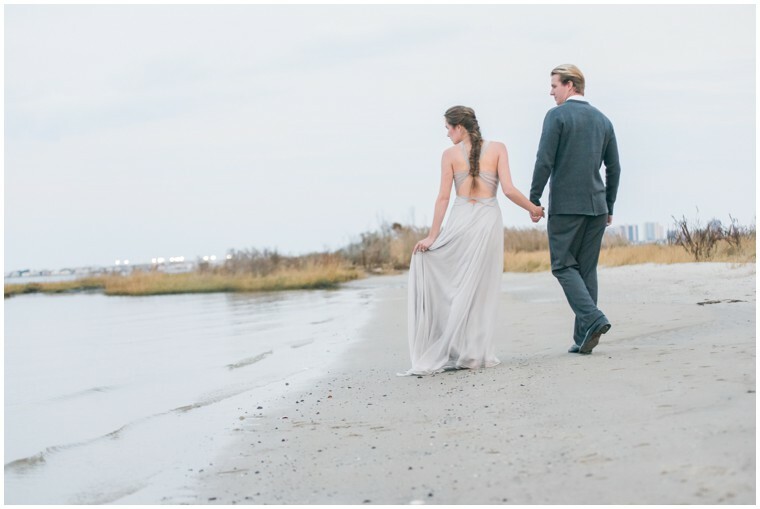 She and I both have a love for the beauty of the Shore, and we wanted to inspire brides to rethink how they highlight the beauty of their setting. 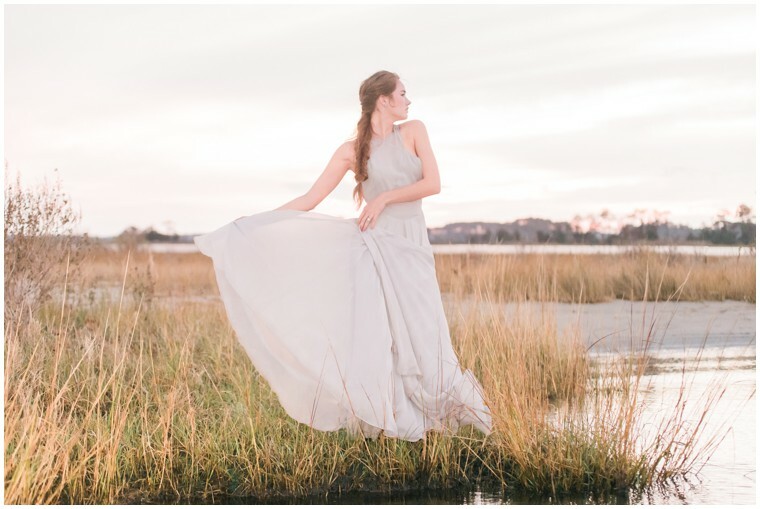 The romantic, dreamy effect created by the mixing of subtle neutrals and brilliant hues was inspired by the stunning Atlantic sunsets of the stormy season. 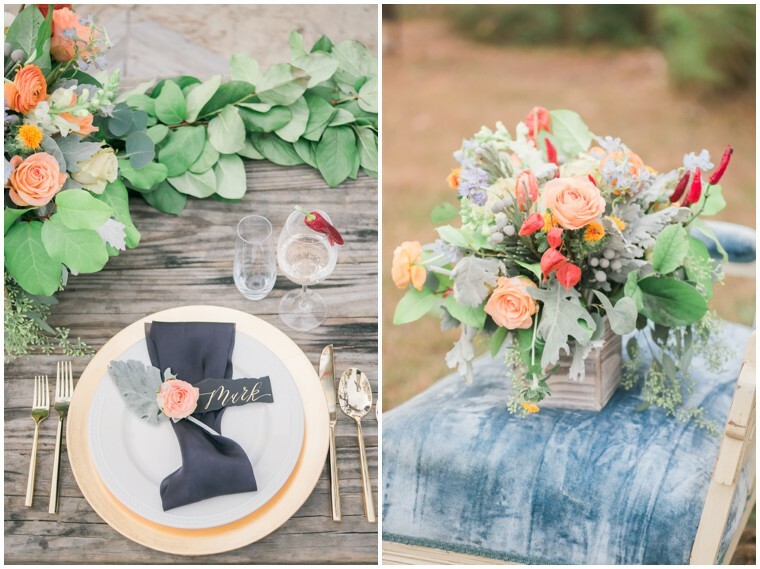 Flourish Floral Artistry dialed in this aesthetic by juxtaposing colorful peppers and Japanese lanterns with peach roses, cream ranunculus, and gray-blue toned greenery such as eucalyptus. 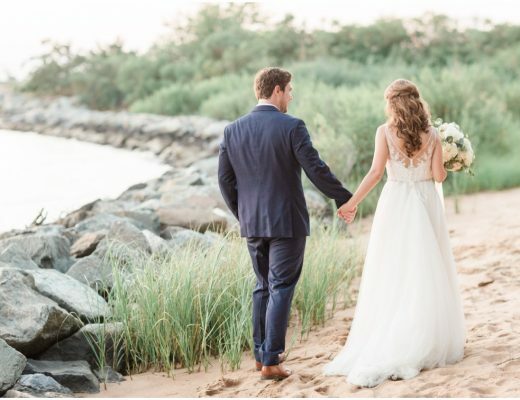 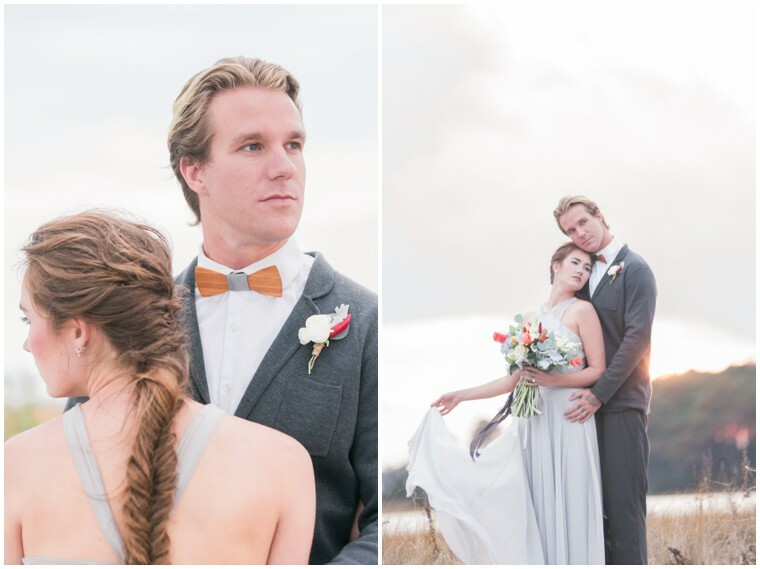 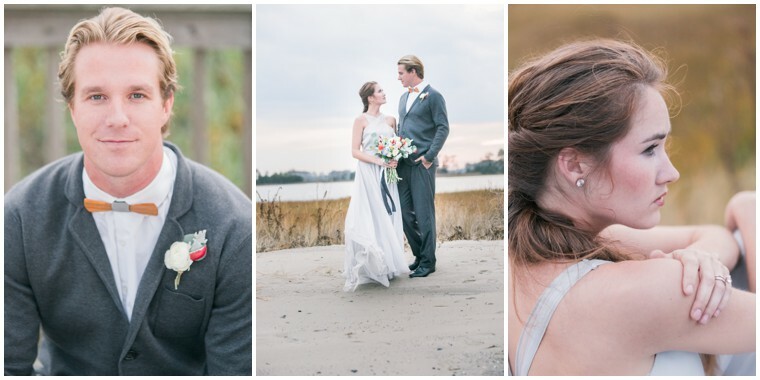 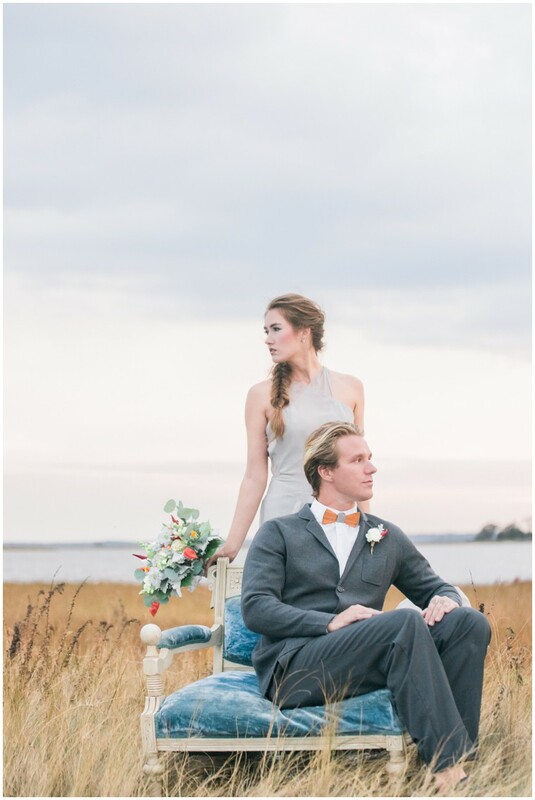 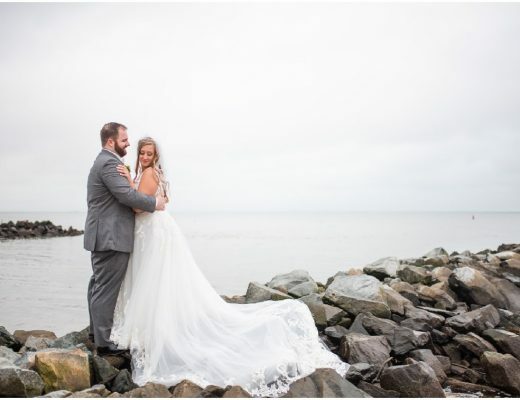 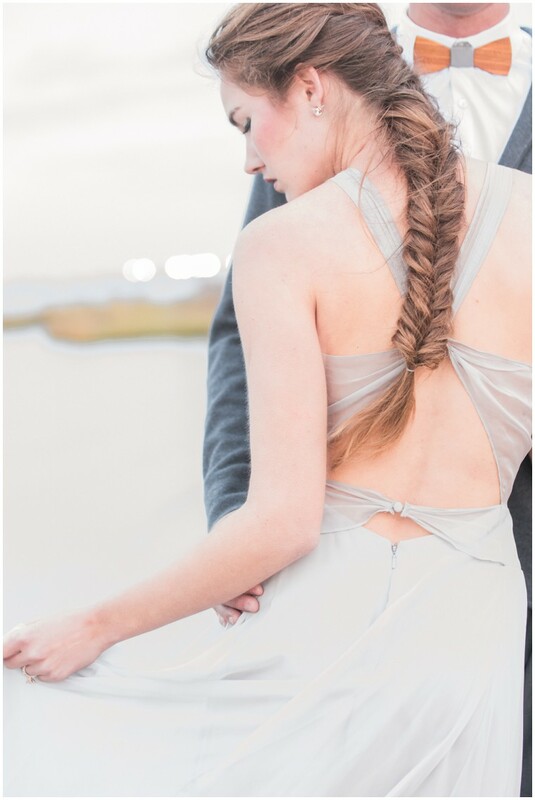 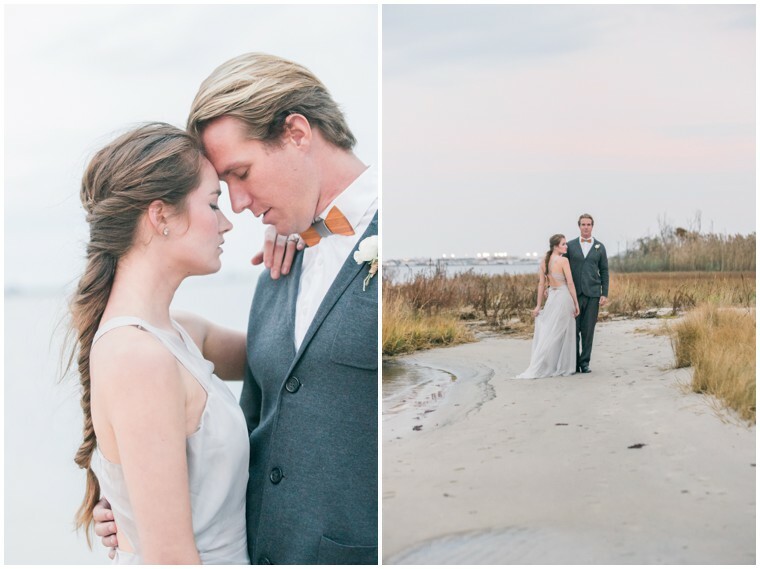 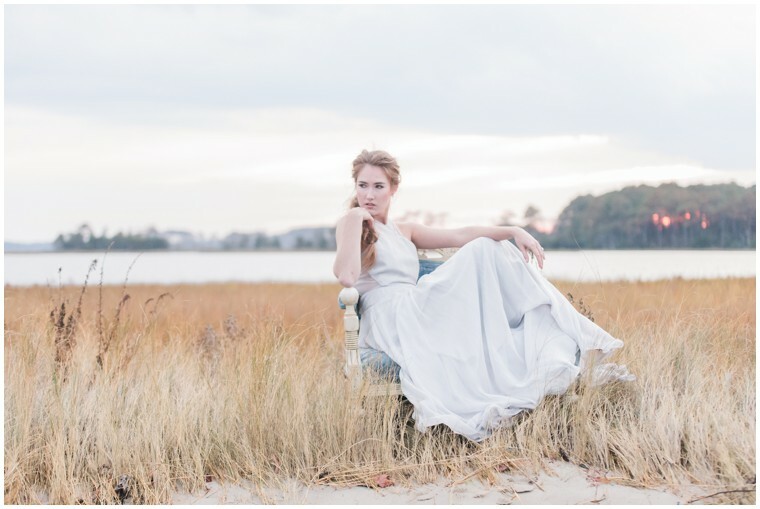 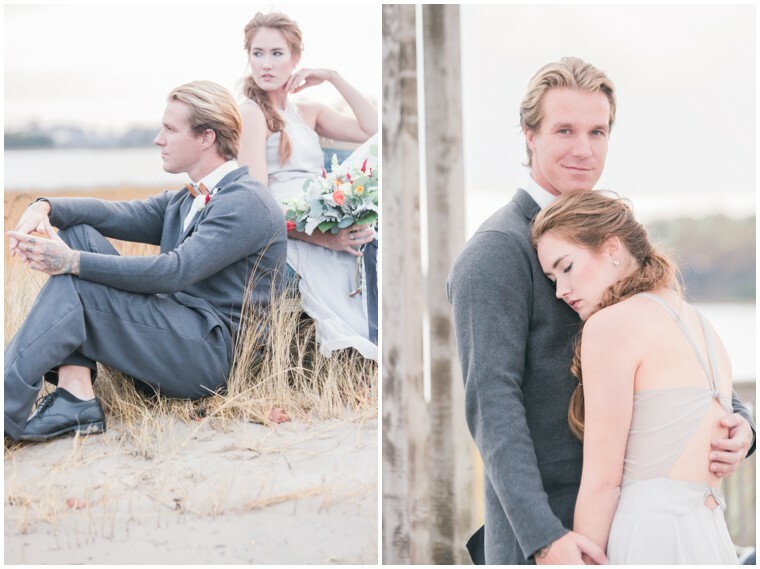 The storm-grey flowing gown and handmade wooden bow tie from Two Guys Bow Ties, were perfectly paired with the natural beauty of the Bayside Resort, which looks out over Fenwick Island. 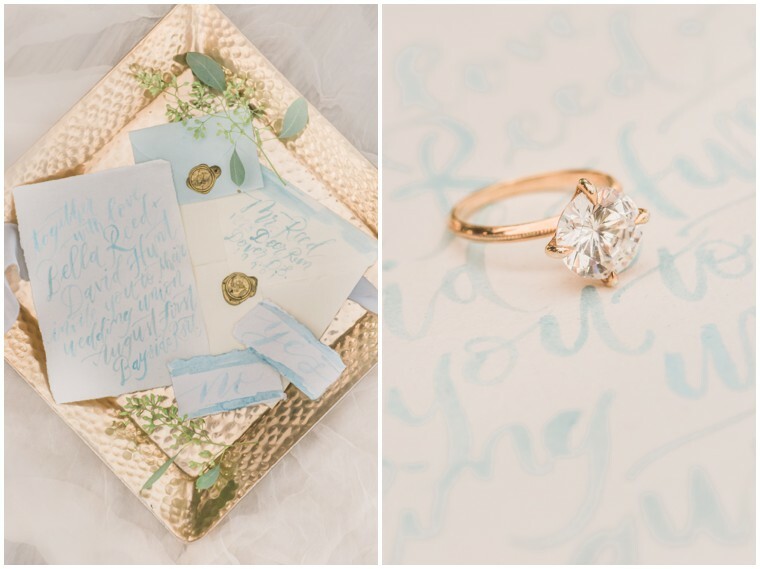 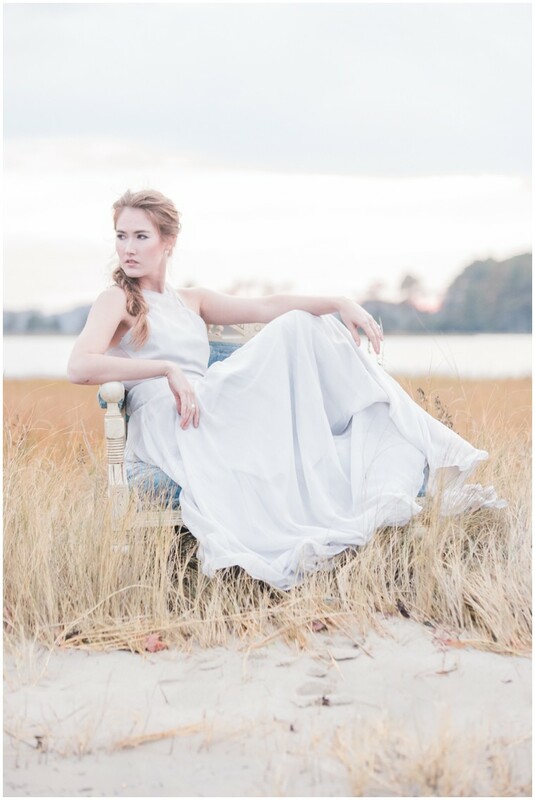 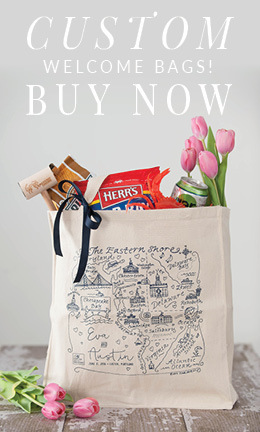 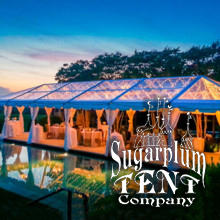 And of course I have to mention the talents of Susie Saltzman with her rose gold ring design and Wild and Free Calligraphy’s paper which captured the elegance of the setting, Jenny’s stunning hair design, and Eastern Shore Makeup’s perfect makeup styling. 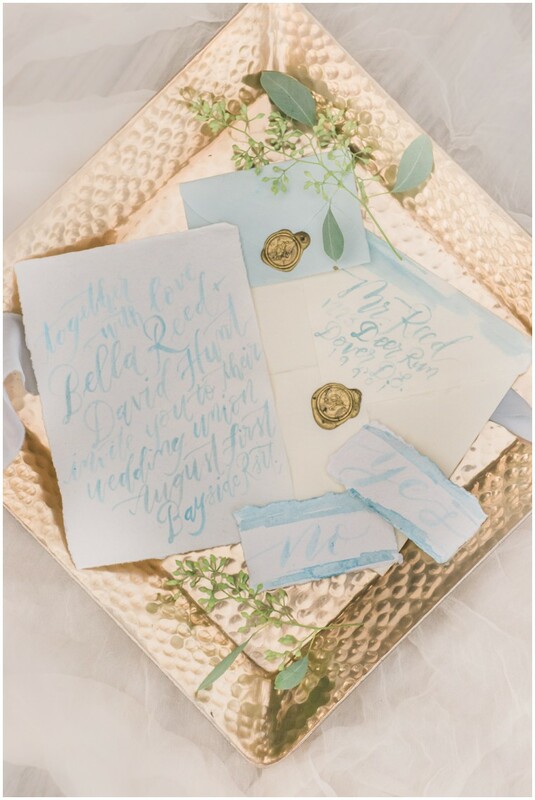 This moody and romantic feel was achieved by carefully curating elements with elegant movement, and organic pieces that add a pop of color. 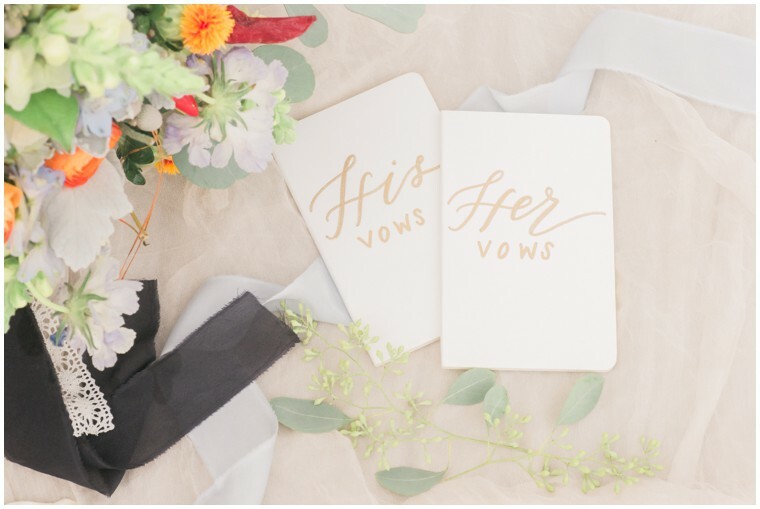 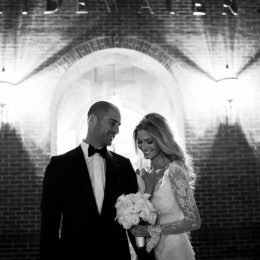 We really hope that brides will be inspired to create an aesthetic that harnesses the beauty of their venue and dare to dream of the possibilities that surround them.